Esther G. Thompson, 81, of 9560 Chaison N.5 Road, Gladstone, passed away Friday, March 23, 2018, at U.P. Health Systems in Marquette. She was born Feb. 17, 1937, in Rochester, Mich., and was the daughter of Claude and Hilda (Gebert) Parkin. Esther graduated from Rochester High School in 1956. The former Esther Parkin married Richard Thompson on June 27, 1957, at St. Lawrence Catholic Church in Utica, Mich. Richard served in the U.S. Marine Corps so the couple raised their family and lived in many different areas over the years including Jacksonville, Fla., North Carolina, South Carolina, Hawaii, Arizona and California. They retired from the U.S. Marine Corps in 1973 and moved to Gladstone. Esther was employed locally by Woolworths in Escanaba and later with Circle M Country. She was a member of the All Saints Catholic Church in Gladstone, The Marine Corps League U.P. Detachment 444 Auxiliary, helped with the Toys for Tots program, was a member of the U.P. Steam and Gas Engine Association and enjoyed reading and watching Jeopardy. Esther and her husband Richard also enjoyed traveling and attending U.S. Marine Corps reunions. Esther G. Thompson is survived by: husband, Richard; children, Justine Thompson of Brampton, Patricia Hurschik of St. Clair Shores, Mich., and Scott (Nora) Thompson of Lansing, Mich; five grandchildren, four great-grandchildren, sister, Violet Bennett of Jasper, Ala.; several nieces and nephews. In addition to her parents, she was preceded in death by daughter, Carol Domingus; son, Richard Thompson II and 12 brothers and sisters. Visitation will be held from 2 to 5 p.m. Wednesday, March 28, at the Anderson Funeral Home in Gladstone. 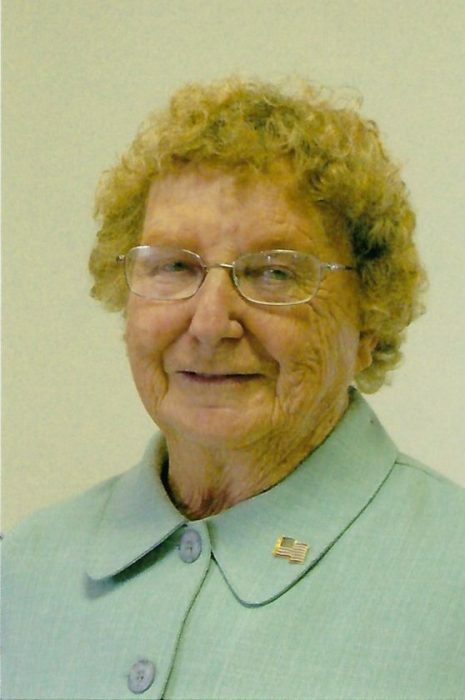 Funeral services celebrating the life of Esther L. Thompson will be held at 5 p.m. Wednesday at the Anderson Funeral Home Chapel with Father Brian Gerber from All Saints Catholic Church officiating. A luncheon will be served following the funeral services in the All Saints Catholic Church fellowship hall. Burial will take place in the Gardens of Rest Cemetery.